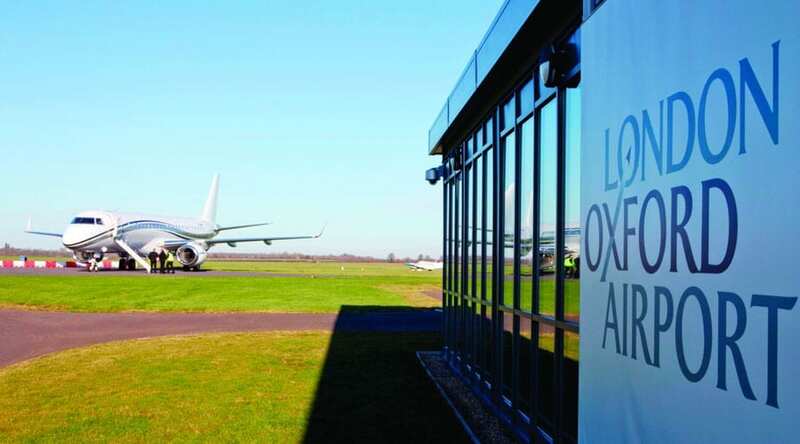 Located 40 miles North of London, Oxford Airport offers links for many business travellers, looking to journey to the South of England. Whether you’re travelling for business or pleasure, Starr Luxury Cars allow you to continue your five-star experience through our Oxford Airport luxury transfer service, transporting you to the surrounding areas of Oxford and across the UK. We have extensive experience in providing a luxury chauffeur service to a wide range of clients, be it if you are travelling as an individual, a couple or a larger group, and ensuring you enjoy professional and prompt travel both to and from Oxford Airport. We can provide one-off chauffeur hire for a single journey and also organise ongoing travel arrangements for frequent flyers. Starr Luxury Cars can offer some of the most experienced and professional airport chauffeurs in the UK. Each reflect our morals and priorities, putting the safety and needs of our clients above anything else. Your chauffeur will handle the loading and unloading of any of your baggage from the moment they meet you, before concentrating on transporting you to your destination quickly and efficiently. Whether you’re on your way home or heading out for a business trip, we understand how valuable your time is, and leave you free to enjoy your journey working or relaxing as you please. Having provided luxury airport transfers for a number of years, we understand that not every flight may go to plan. With this in mind, our expert team will keep up to date with your live travel information, ensuring that your chauffeur is on-hand to meet and assist you as soon as your flight arrives, be it on time, earlier or later than planned. Pre-booking your Oxford Airport luxury transfers with Starr Luxury Cars enables you to save time and avoid crowds, allowing you to get to your destination as quickly as possible, whilst enjoying the sumptuous surroundings of one of our prestigious vehicles. We also have the option for you to add our Oxford Airport assistance and hostess service to your booking, in which one of our highly recommended hostesses will stay with you for the duration of your wait at the airport, assisting with your luggage and making your journey as pleasurable as possible. With an ever-expanding fleet of stunning luxury cars for hire, you have the freedom to select a model which meets all your requirements. From meticulously maintained Range Rovers to the epitome of luxury which is Rolls-Royce, we guarantee your Oxford Airport transfers will be one of the most comfortable and relaxing journeys you’ve ever experienced. We are always adding to our fleet of prestige hire cars, ensuring our clients experience the full modern conveniences that the market has to offer. With a range of luxury features included as standard, you also have the option to make your journey that bit more special by choosing from a vast range of special extras, including champagne and alcohol packages. Book your Oxford Airport transfers online or speak to a member of our expert team to arrange your next trip.